Numerous studies were available in the last few years to support a strong relationship between cognition and hearing. What is noteworthy from these studies is that the type of amplified sounds could place different levels of cognitive demands on the impaired ears. Thus, a reasonable objective in hearing aid design is to deliver amplified sounds that require the least effort from the hearing aid wearers to hear satisfactorily in all listening environments, regardless of their cognitive capacity. We term this design objective Effortless Hearing. The goal is that hearing impaired people hear more of what they want to hear and less of what they don’t. Technological advances in hearing aids evolve rapidly and are made available to clinicians often without clinical data to support their efficacy. Sound clinical practice necessitates that a clinician makes evidence-based decisions when recommending or prescribing hearing aids to their clients.1,2 In the absence of research data, the clinician is forced to rely upon weaker forms of evidence such as expert opinion and clinical observation to judge the worth of any hearing aid technology. Stronger forms of evidence require scientific study and the collection of research data. This evidence becomes even more robust if conducted within the community or culture in which these clinical decisions are made. A Canadian-based clinical trial has been conducted across the country with the aim of providing empirical evidence of the efficacy of the Widex U-platform. One of the negative consequences with a higher standard of living in modern societies is the increased level of stress that their citizens’ experience. According to the American Institute of Stress, the number one health problem in the United States is stress.1 Many of the chronic health issues such as insomnia, heart diseases, etc, can be partially attributed to the increased stress of modern living. Do Tinnitus Patients Continue to Use Amplification and Sound Therapy Post Habilitation? usage patterns of amplification and/or sound therapy once the patient has achieved a satisfactory resolution or believes habituation has occurred. The Zen program provides a relaxing sound background so adult hearing aid wearers may use it for relaxation in quiet where listening to the environment and/or speech is not critical. In the hands of those who are trained in tinnitus management, this may be a convenient and discreet sound therapy tool for hearing-impaired people with tinnitus. The following survey was conducted to determine if indeed clinicians who were trained in tinnitus management would find the Zen program useful for their tinnitus patients. In a previous article,1 we reviewed the concept of using music on relaxation and stress reduction. We also reported on a study to demonstrate the relaxation properties of some fractal-generated musical chimes used in the Zen program. In this article, we report on the results of a survey on the use of such music for tinnitus management in clinics. Background: The vast majority of individuals suffering from tinnitus also have hearing loss 1. When a peripheral hearing deficit exists, a cascade of reorganizational and physical changes occur leading to increased neural activity in the central auditory pathways2. Moreover, stress is a significant exacerbating factor for tinnitus. How one clinic uses the Widex Zen sound therapy tool within a tinnitus management protocol is described. Patient outcomes at this clinic—as well as observations relative to implementing the tool and specific issues related to tinnitus patient management—are also offered. A fractal-based musical chime (Zen) was introduced by Widex as a sound therapy tool for tinnitus management in 2008.1 Since then, this clinic has used Zen for hearing-impaired patients who also reported tinnitus. While the success rate with the use of this tool is very high (over 90%), it is used in combination with counseling, education, and behavioral change. 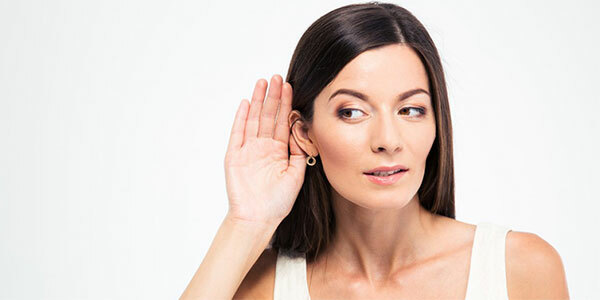 This article discusses how knowledge about tinnitus and tinnitus treatment can be used to develop a hearing aid that is able to address, not only hearing impairment, but also tinnitus issues.